We're less than three months away from the Supreme Court weighing in on the legality of marriage equality and the Defense of Marriage Act: the high court scheduled oral arguments on March 26 for the case against California's Proposition 8 and March 27 for oral arguments on the DOMA case. The Supreme Court justices will receive written briefs from the parties in Hollingsworth v. Perry, the Prop. 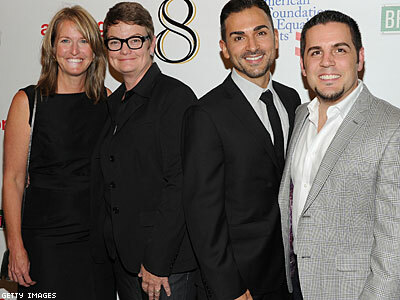 8 case, and United States v. Windsor, the DOMA case, prior to the oral arguments, according to the American Foundation for Equal Rights, the nonprofit that brought the Perry case to federal court. AFER's case against Prop. 8, a constitutional ban against marriage equality narrowly passed by California's voters in 2008, was successful in both a federal district court and a U.S. Court of Appeals. The Windsor case involved a lesbian widow's successful lawsuit against DOMA, which nullifies the marriages of gay and lesbian couples for all purposes of federal law.